The unexpected release by Wingnut Wings earlier this year of their Junkers D.1 monoplane surprised many WW1 modellers, given the type's late and minimal entry to WW1 service. That said, the kit was welcomed as an ideal fuss-free entry level model for those daunted by biplanes and rigging. A big plus for the Junkers D.1, as a monoplane, is it allows the modeller to show off the engine and the exposed machine guns in delicious detail. 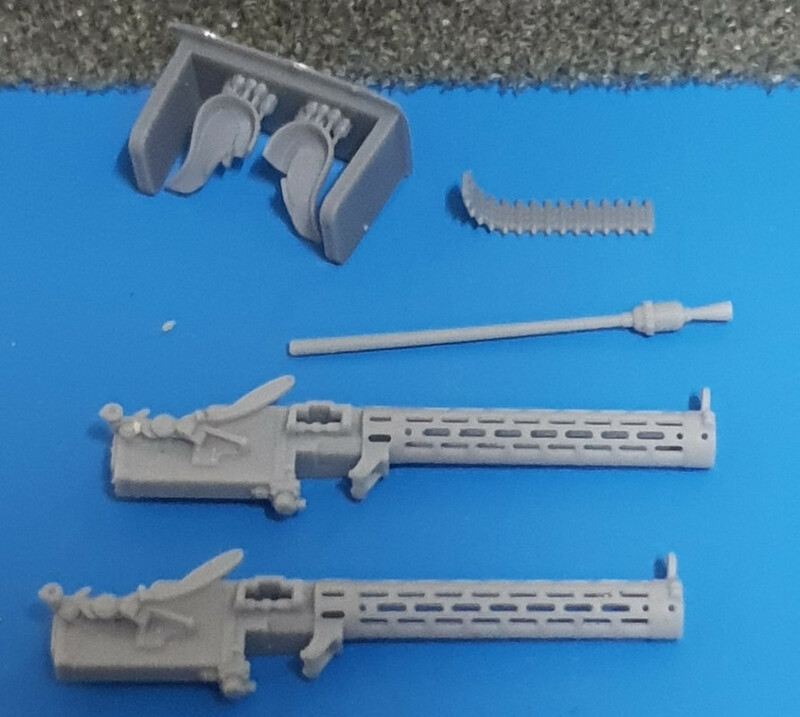 While the Wingnuts kit is excellent OOB, its high detail machine guns with their fiddly photo etch jackets that you have to roll and attach can be quite daunting to anyone with hand nerve deterioration ( ask me how I know!). GasPatch to the rescue! WW1 modellers are benefitting from the expanding catalogue of aftermarket accessories thanks to the creativity of Greek modeller and manufacturer Costas Patsaros through his GasPatch Models company. 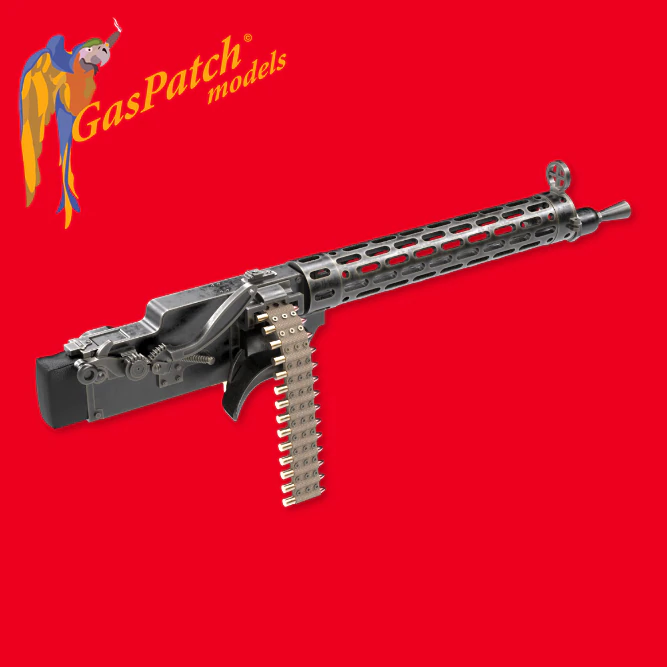 GasPatch has taken a perfectionist approach to WW1 aviation accessory items, which range from a wide array of machine guns to turnbuckles and spoked wheels. 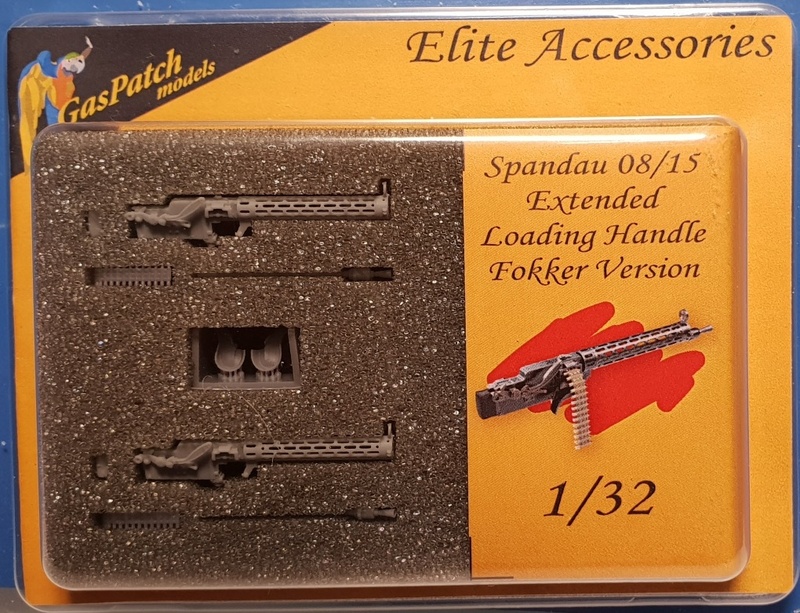 The focus here is on their 1/32nd Spandau 08/15 Extended Loading Handle Fokker Version guns. These are world class quality. 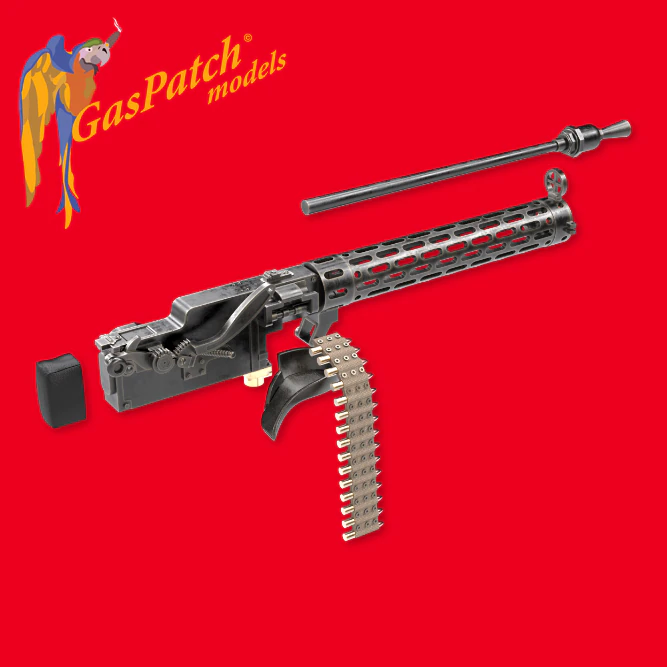 The package comes in GasPatch's familiar blister pack with the ten parts ( sufficient for two guns) nicely protected in a sponge square. 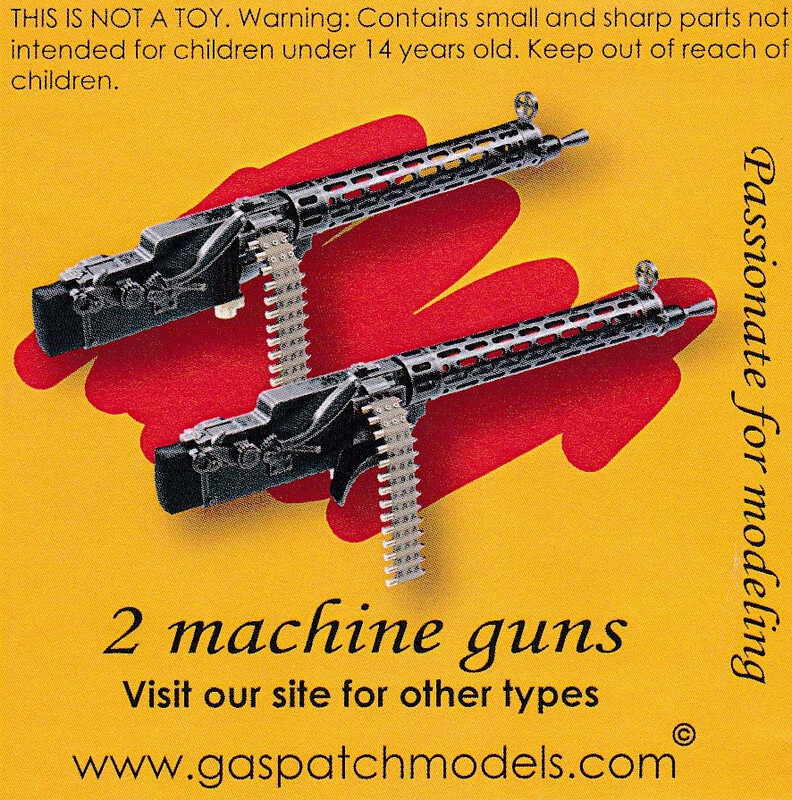 GasPatch's guns are cast in a fine quality robust resin that allows the fine detail of the MG';s to just pop out. Best of all there's no fiddling with photo etch jackets, these guns come ready made and you simply insert the barrel inside the pre cast hollow jacket - pure genius! Coupled with this, the header card folds open to provide a detailed colour guide. A superbly detailed set of Spandau 08/15 guns and ideal to enhance suitable 1/32 WW1 German aircraft. Highly Recommended.